A preliminary agreement to lease more than 100,000 hectares of farmland to a Chinese company has sparked heated debates in Russia. While some say the deal is a good agricultural investment in an economically depressed region, others express fears of Chinese expansion into Russia. Experts say the project has both pros and cons. 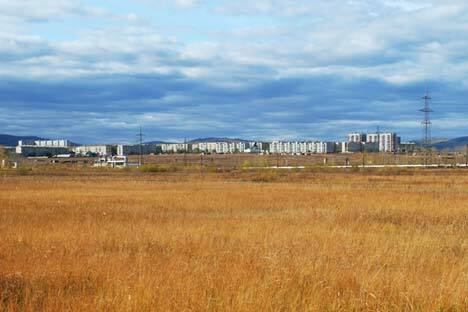 The Zabaikal Territory, a region in the Russian Far East that borders China’s Heilongjiang province, plans to lease 115,000 hectares of farmland to China’s Zole Resources Investment (ZRI) for a period of 49 years. According to a preliminary agreement between the Chinese company and the Russian region, if the project is successful, the leased area could be extended to 200,000 hectares. Right wing politicians have decried the project, saying it would lead to “Chinese expansion” in the Russian Far East. The practice of leasing land in the Russian Far East to Chinese companies is not new, but experts say the latest agreement stands out since a large amount of land is being leased for a long period. Officials from the Zabaikal Territory argue that this in large part due to difficult economic conditions in the region and a lack of interest shown by Russian investors. According to Alexander Larin from the Institute of Far Eastern Studies, Russian Academy of Sciences, the move is positive, as “the land will be cultivated” instead of not being used at all. The right-leaning Liberal Democratic Party of Russia (LPDR) said leasing farmland would lead to “Chinese expansion” in the Russian Far East. LDPR plans to appeal to Russian Prime Minister Dmitry Medvedev to veto the project. “Otherwise, in 20 years the region will be governed by a Chinese national,” LDPR representative Dmitry Lebedev told reporters. Ivan Zuenko says politicians overestimate the danger posed by China. According to him, fears of a Chinese invasion do not exist in Vladivostok and the Russian Far Eastern regions, despite their geographical proximity to China. Larin also wonders whether locals could peacefully coexist with the Chinese immigrants. Russian media outlets have already reported that local farmers offered to cultivate the land themselves. Can Siberia become a biotech development center?